Madonna’s 60th birthday celebrations has been trending and it’s been quite a delight for Middle East as the Queen of Pop has chosen Marrakech or Marrakesh to mark this milestone in her life. Madonna had donned the attire of a “Berber Queen” on her birthday. 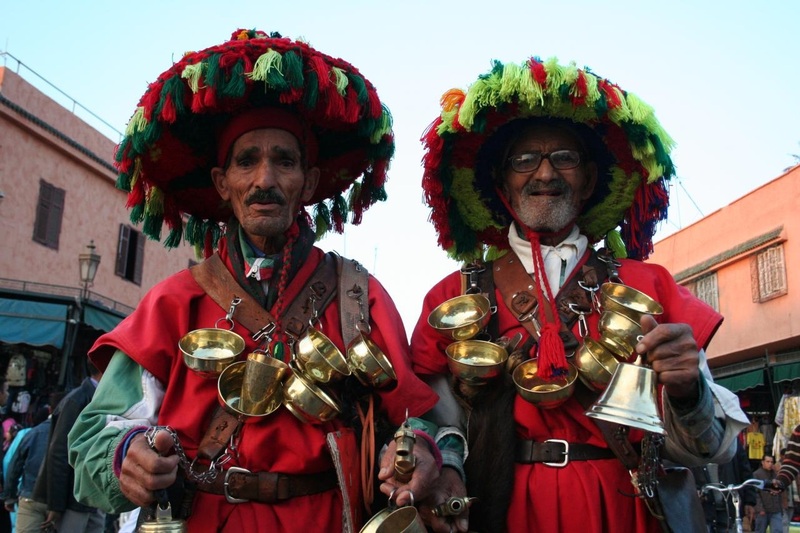 The 5-day celebrations happened at the magnificent boutique Riad El Fenn hotel. The guests dressed the Bedouin way, all of them. As the party wraps up, we try to figure out why Madonna choose Marrakech or Marrakesh as the preferred party destination. First Thing First, Is it Marrakech or Marrakesh? Both are right. 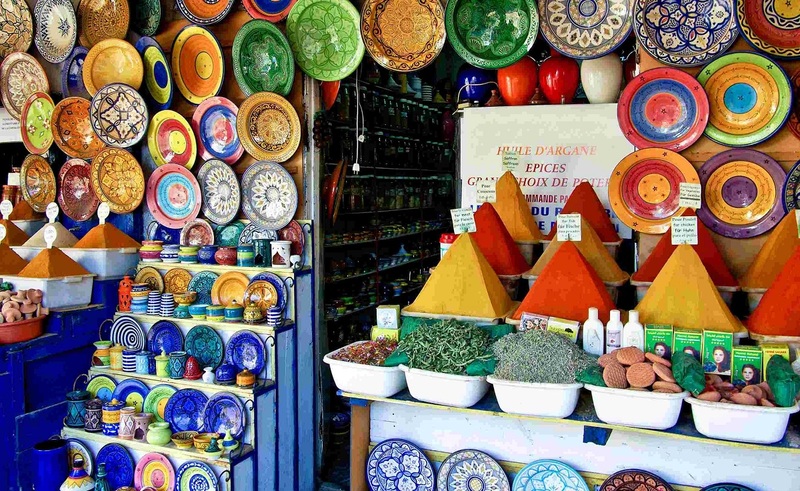 Marrakesh is the Arabic name while Marrakech is the French spelling. The city is one of the major place of the Kingdom of Morocco. It is the fourth largest city in the country, after Casablanca, Fez, & Tangier. 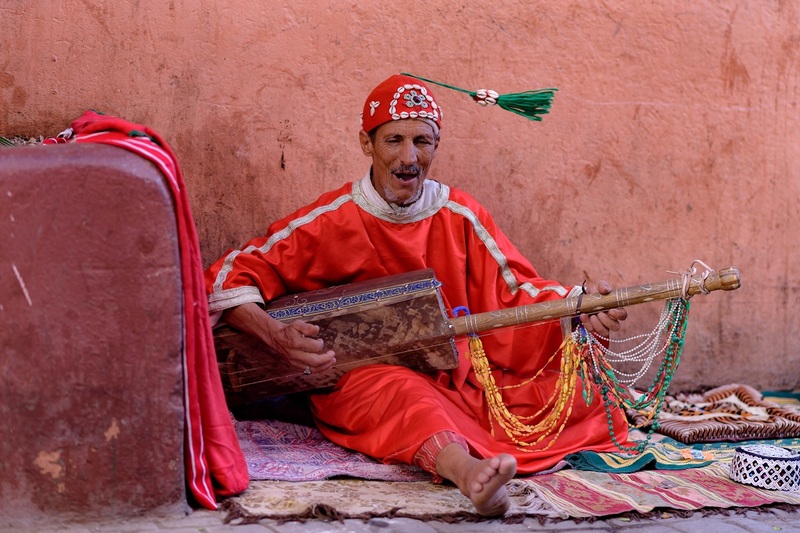 From the mountains to the parks to the city’s historic buildings and art and culture scene, there is plenty to explore in Marrakech. Wander the streets and get amazed by the colorful street art and impressive Arabic décor and paintings. If for an adventure, head out to view the spectacular Atlas Mountains with huge mountain peaks, red valleys and incredible downtown views. 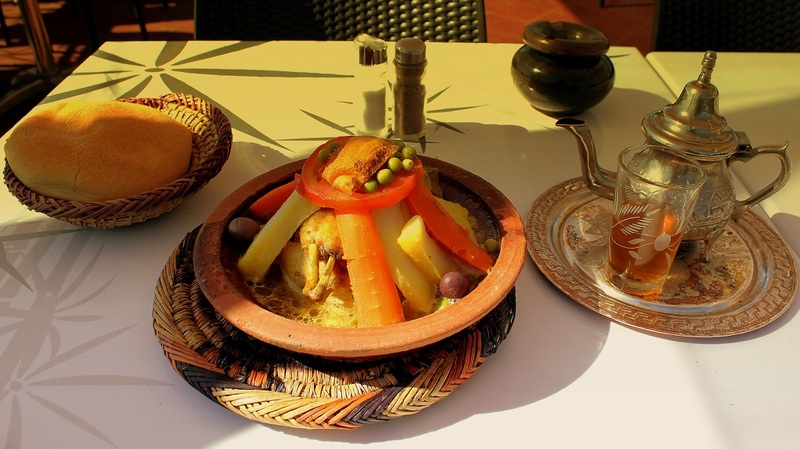 From the exquisite mouthwatering lamb tagines, amazing seafood varieties, tangy street food to high-end international cuisine, Marrakech has something to satisfy every palate! Don’t miss the home-baked breads, bessara (A bowl of hearty fava bean soup), Aubergine fritters, and the meat and sea food cuisine. Endless – Yes, that’s the appropriate word for shopping options in Marakkech. From souqs to uptown designer stores, take your pick to shop. From leather slippers to silk clothing to enormous heaps of spices and decorative tea sets – you would find this and everything else. Bring out your negotiation skills as most shop owners would be happy to negotiate. The locals are a very welcoming and extremely tolerant people who respect your cultures, ideas and ways of life and in return expect the same. The city is blessed with an amazing weather throughout the year. July is hottest month with an average temperature of just 29°C (84°F) and the coldest is January at 13°C (55°F). 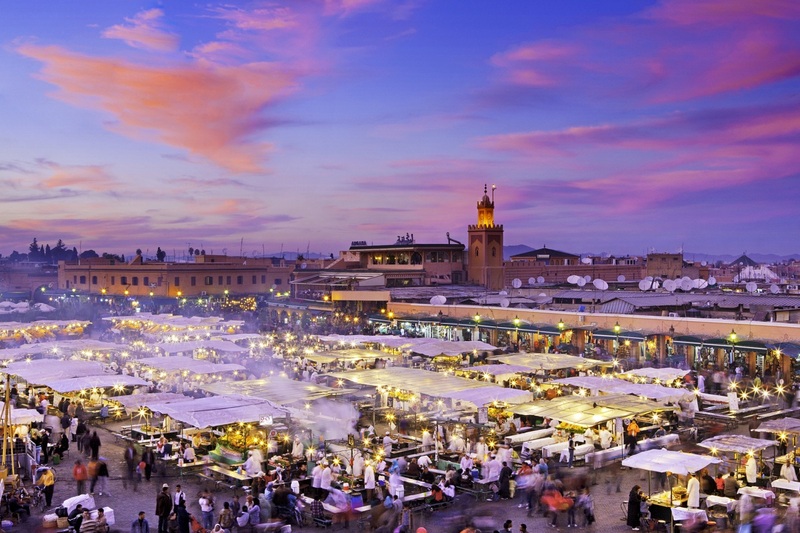 However, the best time to visit Marrakech is during spring (mid-March to May) and autumn (September to November). Winter is also idyllic in the day time, but nights are chilly enough to get a hotel booking with fireplace amenities. 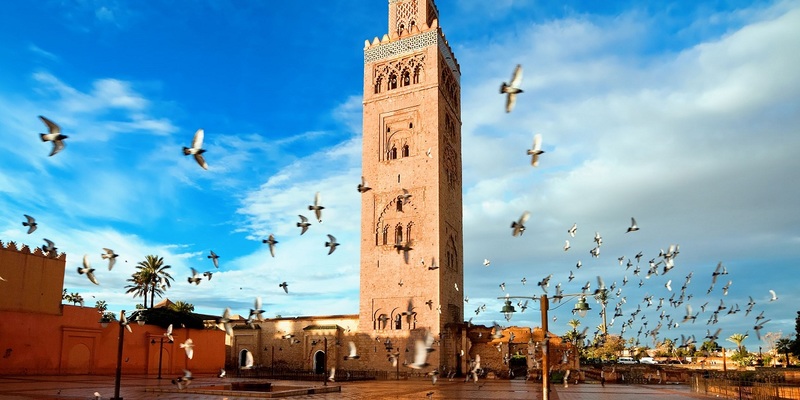 At just over few hours from major cities and with plenty of cheap flights and hotel options available, isn’t it time you plan your trip to Morocco’s red city – Madonna’s chosen party destination?